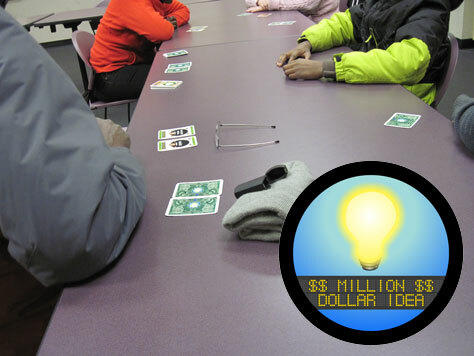 Pictures from Tuesday, January 20th’s Million Dollar Idea card game at McGirt-Horton Library sponsored by Michael Robinson Accounting with organizing help from Shift, the Nussbaum Center’s Entrepreneur group. 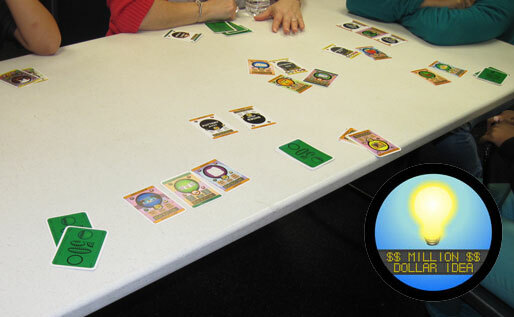 Final hand of the game. 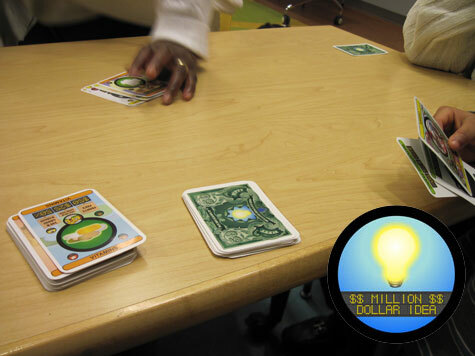 PUBLIC (FREE) EVENT – On Tuesday, January 20th McGirt-Horton Library will host the Million Dollar Idea card game from 6-7pm. 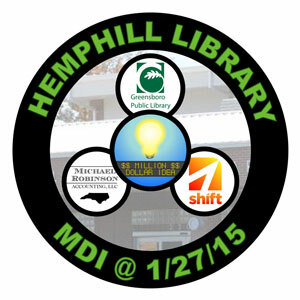 It was a fun hour long round of Million Dollar Idea at Glenwood Library January 13th sponsored by Michael Robinson Accounting with organizing help from Shift, the Nussbaum Center’s Entrepreneur group. 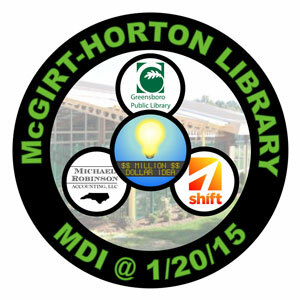 Next game will be at McGirt-Horton Library on Tuesday, January 20th 6-7pm. 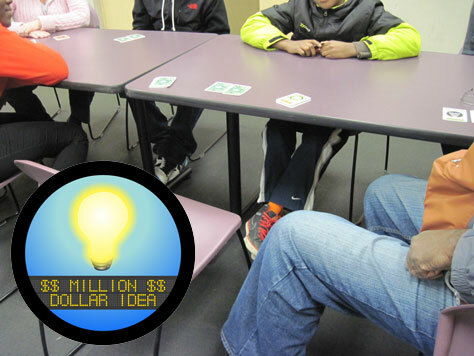 PUBLIC EVENT – On Tuesday, January 13th Glenwood Library will host the Million Dollar Idea card game from 6-7pm. 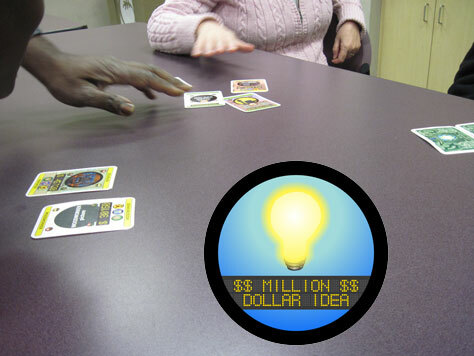 MDI has players pitch other players on products and services they think customers will like accumulating market share in the process. 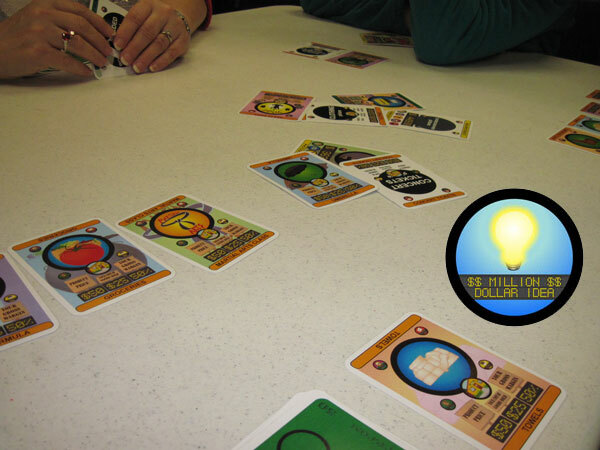 ReBuildUp will be debuting a new card game for 2-8 players (great for families) that teaches about salesmanship, cost of goods sold, and gross margins in a fun way. 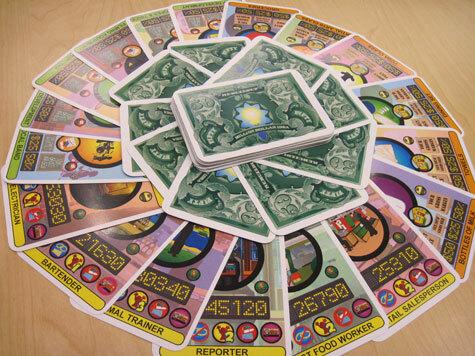 It works great as a pre-Economy, Jr. game and with a few extra card decks, you can have a tournament with up to 32 players at a time. 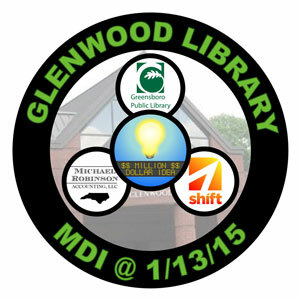 Teens in Greensboro are invited to come out and play on Tuesdays January 13th through 27th at Greensboro Library’s Glenwood, McGirt-Horton, and Hemphill branches. 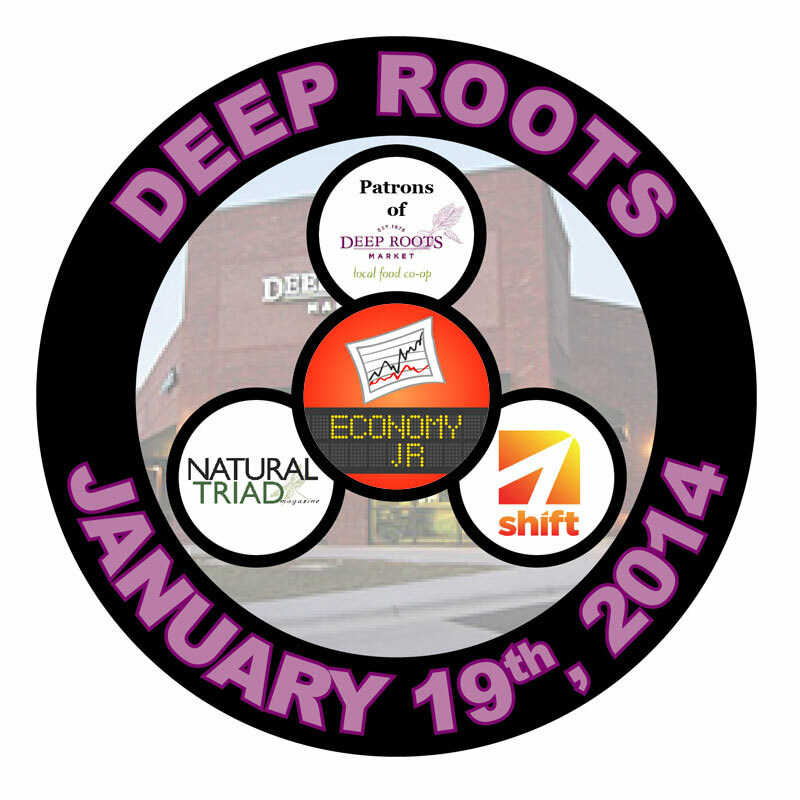 Visit our Events page for specific dates and times. 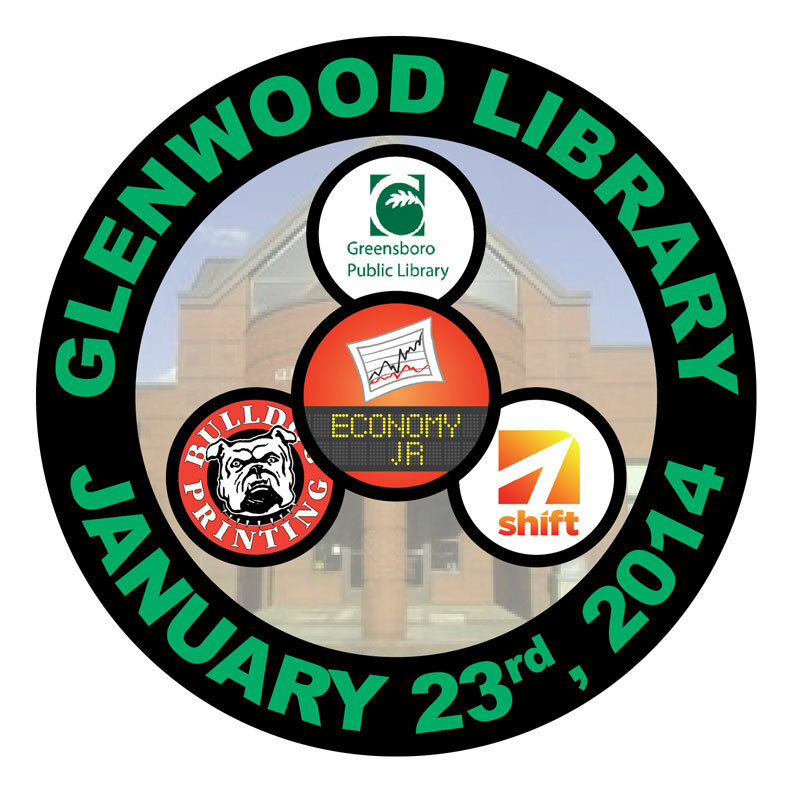 The Economy, Jr. originally scheduled to take place Thursday, January 23rd from 2:00-3:30pm at Glenwood Library, a Branch of the Greensboro Library, sponsored by Bulldog Printing along with the Nussbaum Entrepreneurship Center’s Startup group Shift leading volunteers has been postponed due to schedule changes caused by the Wednesday, January 22nd incremental weather that closed area schools. Sometime in late March is looking to be the new date for this event. We will provide the specific time and day for the rescheduled event when it becomes available. 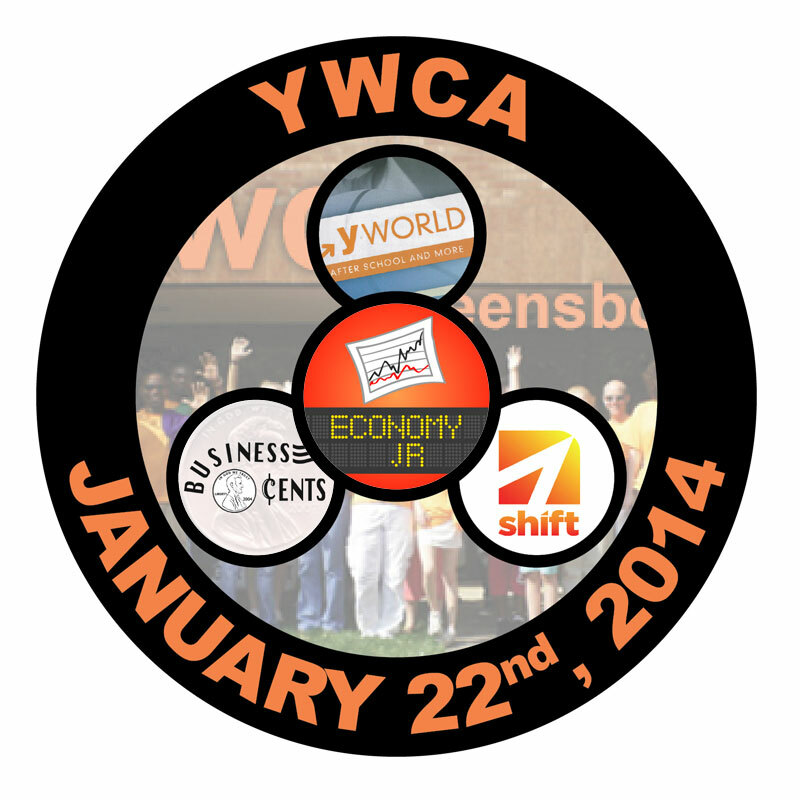 Due to weather closing area schools and affecting after school programs, the Economy, Jr. planned for Wednesday, January 22nd sponsored by Business Cents for YWCA’s yWORLD program is being postponed until either the first or second week of February.